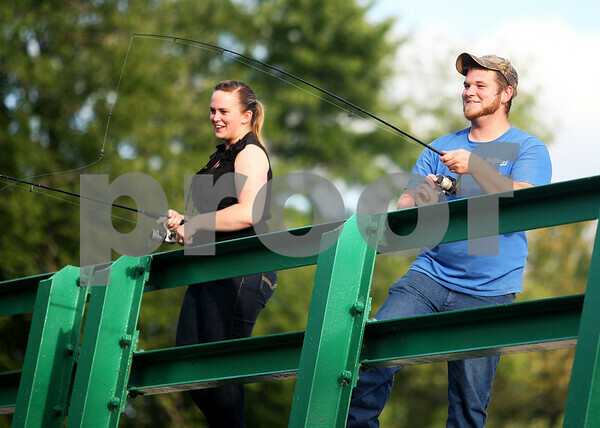 Brittani Click, 21, and fiancé Matt Holliday, 24, fish in the Kishwaukee River in Sycamore on Thursday, July 24, 2014. The couple enjoys outdoor activities and hunting together. They typically consult each other before big puchases on hunting equipment.